Endangered utilizes the history and structure of the community quilt, where each square is designed by a different person and stitched together once completed. 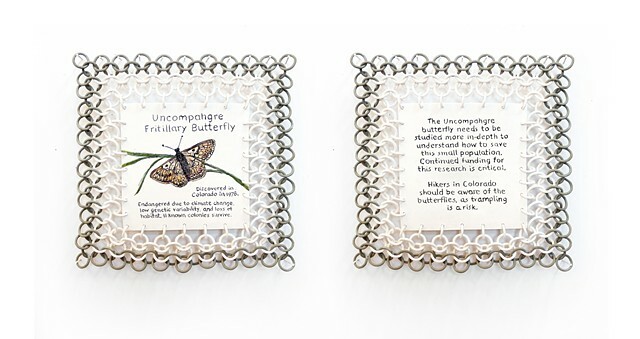 Information and images for each ceramic "quilt square" are submitted by a project participant and gathered by way of a conversation (in-person or digital), or through a workshop. The information and images are then transformed into clay in my studio. The finished squares will be "stitched" together and displayed as a community quilt. The Endangered Project will be hosted by The Salina Art Center in the Spring and Summer of 2018.